The following describes specific details for the various JWST instrument classes. See also the references page for information on data sources. One general note is that the webbpsf class interfaces do not attempt to exactly model the implementation details of all instrument mechanisms, particularly for NIRCam and NIRISS that each have multiple wheels. The filter attribute of a given class is used to select any and all filters, even if as a practical matter a given filter is physically installed in a “pupil” wheel instead of a “filter” wheel. Likewise any masks that affect the aperture shape are selected via the pupil_mask attribute even if physically an optic is in a so-called “filter” wheel. filter which is the string name of the currently selected filter. The list of available filters is provided as the filter_list attribute. image_mask which is the name of a selected image plane element such as a coronagraph mask or spectrograph slit, or None to indicate no such element is present. The list of available options is provided as the image_mask_list attribute. pupil_mask likewise allows specification of any optic that modifies the pupil plane subsequent to the image mask, such as a coronagraphic Lyot stop or spectrograph grating stop. The list of available options is provided as the pupil_mask_list attribute. Each SI has a detector attribute that can be used to select among its multiple detectors (if more than one are present in that SI), and a detector_position attribute which is a 2-tuple giving the pixel coordinates on that detector for the center location in any calculated output PSF. Note that the detector_position value should be specified using the Python (Y,X) axes order convention. WebbPSF provides some sanity checking on user inputs, but does not strive to strictly forbid users from trying to simulate instrument configurations that may not be achievable in practice. Users are responsible for knowing the available modes well enough to be aware if they are trying to simulate an inconsistent or physically impossible configuration. These effects are simulated at high fidelity in models maintained by Ball Aerospace, which in turn were used to create the OPD map files for the JWST instruments included in WebbPSF. Specifically, WebbPSF uses information derived from the as-built OTE optical model Revision G (for the static surface figures of each segments) and the overall JWST optical error budget Revision W (for OTE to ISIM misalignments, WFSC residuals, stability, and budgeted uncertainties for both the OTE and SI contributions). JWST’s optical system has been extremely precisely engineered and assembled. Individual mirrors typically have below 30 nm r.m.s. WFE, and the overall OTE system including alignment tolerances and dynamics is expected to deliver wavefronts of roughly 100 to 150 nm r.m.s. WFE to each of the instruments. This corresponds to Strehl ratios of 90% or better for wavelengths beyond 2 microns. Further information on JWST’s predicted optical performance is available in “Status of the optical performance for the James Webb Space Telescope”, Lightsey et al., (2014) and “Predicted JWST imaging performance”, Knight et al. (2012). Performance predictions for a large active deployable space telescope are inherently probabilistic, and Monte Carlo methods have been used to derive overall probability distributions based on the individual error budget terms. The “predicted” OPD maps provided with WebbPSF correspond to the median values from such simulations, and provide a reasonable approximation of current performance expectations. However, performance at such levels is not guaranteed. The “requirements” OPD maps are more conservative, set to the slightly higher levels of residual wavefront error that we can be confident will be achieved in practice. Both the predicted and required values contain maximal budgeted contributions from OTE temporal drifts and dynamics (roughly 55 nm of low and mid frequency error); i.e. they correspond to times well after a wavefront control and shortly before a next set of control moves might be issued. Note that these represent 10 distinct, totally independent realizations of JWST and its optical error budget. They do not represent any sort of time series or wavefront drift. The average levels of WFE from the telescope itself used in the OPD files are as follows. While different OPD maps are used for each SI, these OPD maps do not include wavefront error contributions from optics internal to the science instrument. Additional details on the SI-specific wavefront error models are given under each instrument model section below. NIRCam is one of the more complicated classes in webbpsf, and has several unique selectable options to model the two copies of NIRCam each with two channels. The detector attribute can be used to select between any of the ten detectors, A1-A5 and B1-B5. Additional attributes are then automatically set for channel (“short” or “long”) and module (“A” or “B”) but these cannot be set directly; just set the desired detector and the channel and module are inferred automatically. The choice of filter also impacts the channel selection: If you choose a long-wavelength filter such as F460M, then the detector will automatically switch to the long-wave detector for the current channel. For example, if the detector was previously set to A2, and the user enters nircam.filter = "F460M" then the detector will automatically change to A5. If the user later selects nircam.filter = "F212N" then the detector will switch to A1 (and the user will need to manually select if a different short wave detector is desired). This behavior on filter selection can be disabled by setting nircam.auto_channel = False. The pixelscale will automatically toggle to the correct scale for LW or SW based on user inputs for either detector or filter. If you set the detector to NRCA1-4 or NRCB1-4, the scale will be set for SW, otherwise for NRCA5 or NRCB5 the pixel scale will be for LW. If you set the filter attribute to a filter in the short wave channel, the pixel scale will be set for SW, otherwise for a filter in the long wave challen the scale will be set for LW. The intent is that the user should in general automatically get a PSF with the appropriate pixelscale for whatever instrument config you’re trying to simulate, with no extra effort needed by the user to switch between NIRCam’s two channels. Note that this behavior is not invoked for monochromatic calculations; you can’t just iterate over calc_psf calls at different wavelengths and expect it to toggle between SW and LW at some point. The workaround is simple, just set either the filter or detector attribute whenever you want to toggle between SW or LW channels. The coronagraph image-plane masks and pupil-plane Lyot masks are all included as options. These are based on the nominal design properties as provided by the NIRCam team, not on any specific measurements of the as-built masks. The simulations of the occulting mask fields also include the nearby neutral density squares for target acquisitions. WebbPSF won’t prevent users from simulating configuration using a coronagraph image mask without the Lyot stop, but that’s not something that can be done for real with NIRCam. Note, the Lyot masks have multiple names for historical reasons: The names ‘CIRCLYOT’ and ‘WEDGELYOT’ have been used since early in WebbPSF development, and can still be used, but the same masks can also be referred to as “MASKRND” and “MASKSWB” or “MASKLWB”, the nomenclature that was eventually adopted for use in APT and other JWST documentation. Both ways work and will continue to do so. Note that just because you can simulate such arbitrary position in WebbPSF does not mean you can easily actually achieve that pointing with the flight hardware. Each coronagraphic mask is imaged onto a specific area of a specific detector. Setting the image mask attribute to a coronagraphic mask (e.g. MASKLWB or MASK335R) will automatically configure the detector and detector_position attributes appropriately for that mask’s field point. Note, this will also invoke the automatic pixelscale functionality to get the right scale for SW or LW, too. The coronagraph field points are far off axis, and this comes with significant WFE added compared to the inner portion of the NIRCam field of view. This is not yet included in WebbPSF, but is work in progress for the next version expected in 2019. WebbPSF includes models for the three weak lenses used for wavefront sensing, including the pairs of lenses that can be used together simultaneously. The convention is such that the “negative” 8 waves lens is concave, the “positive” two lenses are convex. Thus positive weak lenses move best focus in front of the detector, or equivalently the electric field imaged on the detector becomes behind or beyond best focus. Negative weak lenses move best focus behind the detector, or equivalently the image on the detector is moved closer to the OTE exit pupil than best focus. 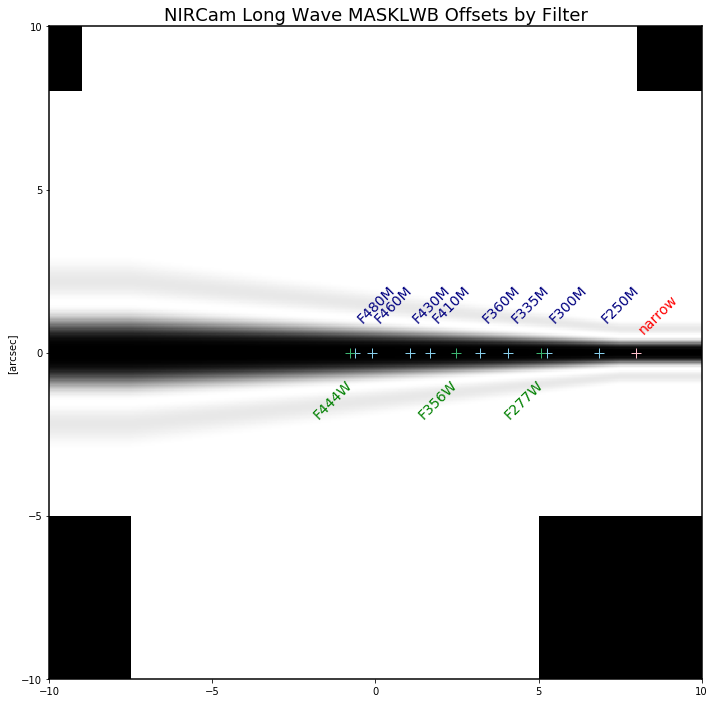 Note that the weak lenses are in the short wave channel only; webbpsf won’t stop you from simulating a LW image with a weak lens, but that’s not a real configuration that can be acheived with NIRCam. The SI internal WFE measurements are distinct for each of the modules and channels. When enabled, these are added to the final pupil of the optical train, i.e. after the coronagraphic image planes. TODO Add documentation here for the focus variations vs wavelength and how webbpsf models those. webbpsf models the optics of NIRSpec, mostly in imaging mode or for monochromatic PSFs that can be assembled into spectra using other tools. This is not a substitute for a spectrograph model, but rather a way of simulating a PSF as it would appear with NIRSpec in imaging mode (e.g. for target acquisition). It can also be used to produce monochromatic PSFs appropriate for spectroscopic modes, but other software must be used for assembling those monochromatic PSFs into a spectrum. Slits: webbpsf includes models of each of the fixed slits in NIRSpec (S200A1, S1600A1, and so forth), plus a few patterns with the MSA: (1) a single open shutter, (2) three adjacent open shutters to make a mini-slit, and (3) all shutters open at once. Other MSA patterns could be added if requested by users. By default the pupil_mask is set to the “NIRSpec grating” pupil mask. In this case a rectangular pupil mask 8.41x7.91 m as projected onto the primary is added to the optical system at the pupil plane after the MSA. This is an estimate of the pupil stop imposed by the outer edge of the grating clear aperture, estimated based on optical modeling by Erin Elliot and Marshall Perrin. SI WFE will most likely be added to the entrance pupil, prior to the MSA image plane. This model is still under development. 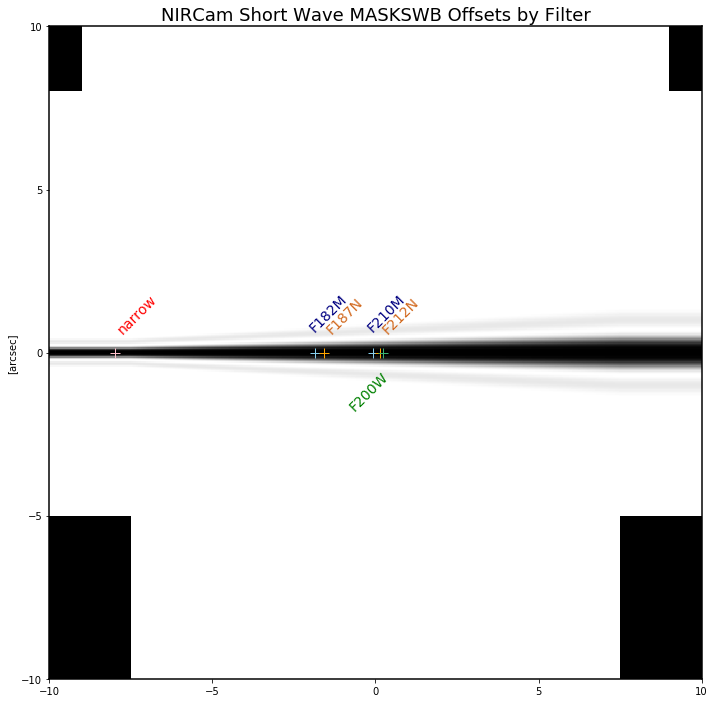 WebbPSF models the direct imaging and nonredundant aperture masking interferometry modes of NIRISS in the usual manner. Note that long wavelength filters (>2.5 microns) are used with a pupil obscuration which includes the pupil alignment reference fixture. This is called the “CLEARP” pupil. Based on the selected filter, webbpsf will automatically toggle the pupil_mask between “CLEARP” and the regular clear pupil (i.e. pupil_mask = None). webbpsf provides preliminary support for the single-object slitless spectroscopy (“SOSS”) mode using the GR700XD cross-dispersed grating. Currently this includes the clipping of the pupil due to the undersized grating and its mounting hardware, and the cylindrical lens that partially defocuses the light in one direction. Prototype implementation - Not yet fully tested or verified. Note that WebbPSF does not model the spectral dispersion in any of NIRISS’ slitless spectroscopy modes. For wide-field slitless spectroscopy, this can best be simulated by using webbpsf output PSFs as input to the aXe spectroscopy code.  Contact Van Dixon at STScI for further information. For SOSS mode, contact Loic Albert at Universite de Montreal. The other two slitless spectroscopy grisms use the regular pupil and do not require any special support in WebbPSF; just calculate monochromatic PSFs at the desired wavelengths and assemble them into spectra using tools such as aXe. NIRISS includes four coronagraphic occulters, machined as features on its pick-off mirror. These were part of its prior incarnation as TFI, and are not expected to see much use in NIRISS. However they remain a part of the physical instrument and we retain in webbpsf the capability to simulate them. webbpsf models the MIRI imager; currently there is no specific support for MRS, however monochromatic PSFS computed for the imager may be used as a reasonable proxy for PSF properties at the entrance to the MRS slicers. webbpsf includes models for all three FQPM coronagraphs and the Lyot coronagraph. In practice, the wavelength selection filters and the Lyot stop are co-mounted. webbpsf models this by automatically setting the pupil_mask element to one of the coronagraph masks or the regular pupil when the filter is changed. If you want to disable this behavior, set miri.auto_pupil = False. webbpsf includes models for the LRS slit and the subsequent pupil stop on the grism in the wheels. Users should select miri.image_mask = "LRS slit" and miri.pupil_mask = 'P750L LRS grating'. That said, the LRS simulations have not been extensively tested yet; feedback is appreciated about any issues encountered. The SI internal WFE measurements, when enabled, are added to the final pupil of the optical train, i.e. after the coronagraphic image planes. TODO Add documentation here of this effect and how WebbPSF models it. A fold mirror at the MIRI Imager’s internal cold pupil is used to redirect light from the MIRI calibration sources towards the detector, to enable flat field calibrations. For a subset of field positions, this fold mirror slightly obscures a small portion of the pupil. This is a small effect with little practical consequence for MIRI PSFs, but WebbPSF does model it. The FGS class does not have any selectable optical elements (no filters or image or pupil masks of any kind). Only the detector is selectable, between either ‘FGS1’ or ‘FGS2’.